Dr. T.R Parivender, Chancellor of SRM University speaks to Careers360 on how private sector can be the prime driver in higher education. In this interview the SRM University Chancellor talks about Indi-Chinese publications, role of government to promote private institutions and the potential of Indian Universities in the global canvas. Read this interview to know his expert views on issue of non-employability and SRM’s contribution in the national building. Careers360:How can India’s higher education system become more robust? Dr. T.R Parivender: It can become robust with academic freedom and the full autonomy of the universities, both private and state. There are too many rules and regulations, and too many controlling departments of the central and state governments. There should be self-regulating mechanisms, democratic procedures and fully transparent and self-critical operation. Careers360: Do you think China and India are making inroads in refereed publications globally? Dr. T.R Parivender: Contribution of scientist of Chinese and Indian origin is definitely on the rise in international referred journals. But there is a need to strengthen them infrastructures, research grants, and greater opportunities for presentation and publication within the respective countries. Careers360:Which aspects of Indian universities do you think has the potential to contribute to the character of a global university? Dr. T.R Parivender: There are no geographical or political boundaries in science and education. India has to move on, and move on fast. She has to be innovative and experimental in approach. She has a long history starting from the days of Taxila. Careers360: In your view, what needs to be done to overcome the issue of non- employability? 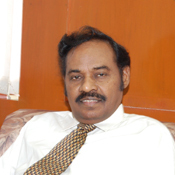 Dr. T.R Parivender: In essence universities educate and get the best out of every individual. Universities work hard with industrialists, economists as well as community leaders to find the ways for employability, both in terms of numbers as well as quality of work. Inspiring the entrepreneurial qualities in students is an aim, which needs to be emphasized more and more. There are no geographical or political boundaries in science and education. India has to move on, and move on fast. She has to be innovative and experimental in approach. She has a long history starting from the days of Taxila. Careers360: How is SRM University contributing to nation building? Faculty and students at SRM University are engaged in both fundamental and applied research, covering the areas at frontiers of knowledge. Work in nanotechnology been has a published in a few of the best international journals. As to technology, a satellite developed by students and faculty is already in the orbit. This has been achieved in collaboration with Indian Space Research Organization. These are just two examples. The scientists in biotechnology are working with Nuclear Energy Organization while the medical faculty is examining the possible applications of indigenous plants and herbs. Careers360: What is the role of private sector in higher education? Dr. T.R Parivender: India is a democratic country, which has a market-driven economy like the USA, UK, Canada and Australia. However there are great examples of private universities like Harward, Stanford and Yale in America, while UK and Canada do not have any private universities. And India seems to have opted for an American model; there are unlimited opportunities for private effort. Careers360:How far should Indian campuses seek international roles? Dr. T.R Parivender: A true university cannot be a university but be international. Careers360: What should Indian campuses do to attract global students? Dr. T.R Parivender: Admission to private universities should be open, transparent and non- discriminatory. They should state that those who deserve to be with us, irrespective of nationality and economic strength will be with us. Careers360:What should the government do to promote private participation? Dr. T.R Parivender: The government should not interfere. ‘No license, permit Raj’ at all. They should set minimum standards and then allow market forces to compete.